All ASD FieldSpec spectrometers and spectroradiometers provide 3 nm spectral resolution in the VNIR (350 nm – 1000 nm) range. Four spectral resolution options are available for the SWIR (1001 nm – 2500 nm) range. The enhanced 6 nm SWIR spectral resolution of the FieldSpec 4 Hi-Res NG spectroradiometer provides both the sampling interval (bandwidth) and the spectral resolution to support accurate calibration and image classification analysis with the next generation high spectral resolution hyperspectral sensors. With 8 nm SWIR spectral resolution the FieldSpec 4 Hi-Res spectroradiometer is the instrument of choice for geological studies and atmospheric research. The FieldSpec 4 Standard-Res spectroradiometer, with 10 nm SWIR resolution is perfectly suited for characterizing spectral features with a resolution of 10 nm to 50 nm, which covers the technical requirements of most field researchers. 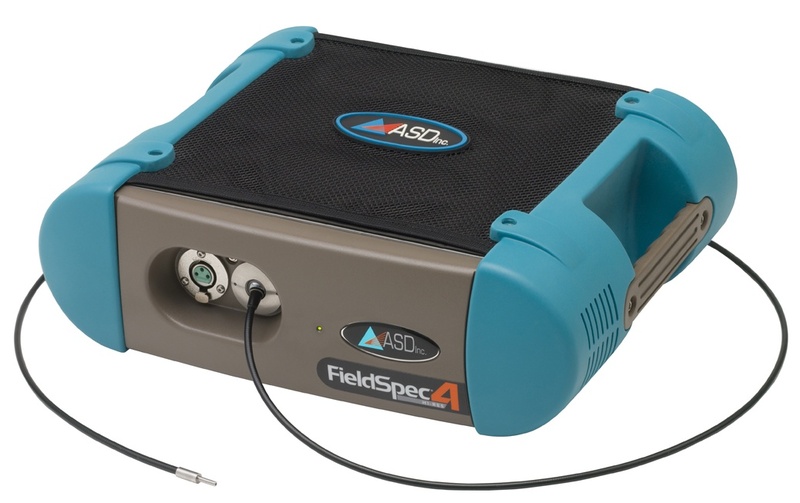 The FieldSpec 4 Standard-Res spectroradiometer has long been the industry’s go-to workhorse instrument for trusted field spectroscopy and the scope of potential applications is broad.